MK Ice Hockey's Newest Member - Justin Bieber! 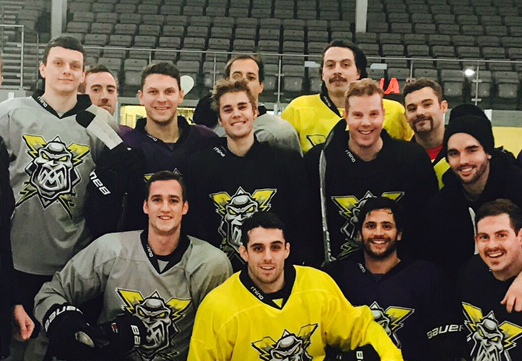 Justin Bieber has turned up in Milton Keynes - to take part in an Ice Hockey training session. Ice Hockey's massively popular in Biebs' home nation of Canada, so he took some time out last night to visit Milton Keynes to join the city's very own Ice Hockey team MK Lightning. The singer was at Planet Ice for a pre-concert training session before travelling back down to London for his gig at the O2.